WorldHealthCareBlog.org » Push vs. Pull: EHRs or PHRs? : a hosted discussion on innovation in health care: "President Bush has set a goal for every American to have an electronic health record (EHR) by 2014. But how do we reach this goal most efficiently and effectively? * “Pull” the end consumer to use PHRs, who will then put pressure on doctors and hospitals to adopt EHRs"
Patients Are Powerful - a Non-Profit, Medical Patient Advocacy Organization: "This Patients Are Powerful website is designed to walk you through the varied steps to patient empowerment. Most popular are our online printable sample letters to help you challenge your HMO for better care. You can 'Request a Copy of YOUR Medical Records', 'Request to See a Specialist', 'Get a Second Opinion', 'Choose Your Hospital', and 'Get the Right Prescription Medication'. Additionally, we can help with our HMO 'Not Medically Necessary' or 'Not a Covered Benefit' challenge sample letters. Finally, Patients Are Powerful provides Free Legal Advice in all areas of medical malpractice and a special 'Injured at Work' link among our many services." Helping patients to decide how many embryos to transfer ! Making embryos is something the IVF lab can guarantee, since it’s a procedure which is done in the lab. However, after we transfer the embryos back into the uterus, whether or not they will implant to become a baby is not in anyone’s control. This is because nature is not very efficient in producing babies. We know that transferring more embryos does improve pregnancy rates – but it also increases the risk of a multiple pregnancy. The key question is – how many embryos should we transfer , in order to maximise the chances of success, without increasing the risk of a high order multiple ? This is a difficult question to answer. This clever tool, which uses basic probability principles, can help patients to maximise their chances of success, by helping them to figure out how many embryos they should transfer ! 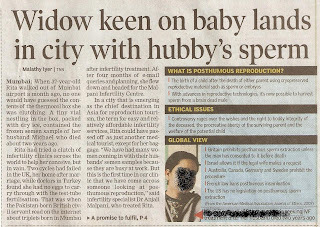 It can also be use for patients who want to maximise their chances of having twins - an "instant family" ! or the probability (5/6) of rolling something else. In our case, the two probabilities are: getting pregnant (p) or not getting pregnant (q). No other option is possible. 1. The success probability of each embryo (becoming a baby) is the same. In reality the success probability of individual embryos will vary based on their quality. 2. That the success probability of each embryo is not impacted by the presence of other embryos in a process where multiple embryos are transferred simultaneously. The success probability number at best is a guess – there is no scientific way to calculate this precisely. It depends on factors dependent not just on the quality of the embryo but also the specific physiology of the individual mother in question. In medical terms, this is called the implantation rate (the chances of a single embryo becoming a baby). This varies from clinic to clinic; and from patient to patient. All you need to do is enter the number of embryos being transferred in cell C2 (for simplicity the number of embryos in this spreadsheet is restricted to 10) and the success probability of each embryo in cell C3 (the success probability has to be a number between 0 and 1 or in percentage terms between 0 and 100%). The results will be immediately available below. twins is also very low probability at 3%. There is a good chance of conceiving a single baby at 24%. 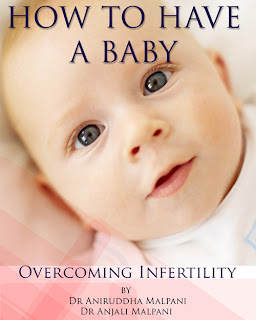 There is a high chance (73%) that the IVF will not succeed. Now see what happens when you transfer 4 embryos ? or 5 ? or 2 ? Which will give you the best risk-benefit ratio ? This is a very personal decision - and it's one you should make for yourself ! The way to improve the chances of success will be to increase the number of embryos transferred : or to improve the quality of embryos (perhaps by selecting a good IVF clinic which has a high success rate). Go ahead and play around with the tool till you get a good feel of the probability. You can use this tool to figure out how many embryos should you transfer in your IVF cycle. You can download the spreadsheet free here ! Feedback is welcome ! Please email me at info@drmalpani.com ! Public health turns to virtual worlds to spread health messages: "The Whyville flu campaign is just one example of how public health officials are using new tools — social media, social networking and cellphone texting — to disseminate health promotion messages. The popularity of sites like MySpace and YouTube or virtual worlds like Second Life and Whyville has created exciting new communication opportunities that make the old public health standard — a colour brochure — look about as modern as a wax tablet. 'Social media is absolutely a huge element of what we're doing now. Primarily it's because it's where people are,' says Nall, who talks about her work with infectious enthusiasm. Others in the public health field are also looking to web-based or mobile media to reach people, whether to pass on information or trace disease contacts or investigate outbreaks." Google Health most significant GOOG business launch since AdWords | Tom Foremski: IMHO | ZDNet.com: "The approach is very interesting and it solves several key problems in being able to integrate health data from multiple sources. The solution: have the individual do it. The current regulations are designed to protect people’s privacy so sharing medical data is very difficult. But if the individual does it and then allows others access to it, much of this problem is solved. Plus Google Health users can share and send their data abroad. Anyone for MyIndianMD.com?" This is exactly the model supermarkets use. Instead of getting the shop-keeper to locate the goods from the shelves ( like the old mom-and-pop grocer stores did), allow the customer to find the goods himself ! This way, the shop-keeper is no longer the bottle-neck and one shop-keeper can serve many more customers. Similarly, by giving the tools to the patients, we can let the patients do most of the work, so that doctors ( who are the bottlenecks at present) are free to do more work and see more patients ! Google Health versus Microsoft HealthVault : "The big competition here is between Google Health and Microsoft’s HealthVault. (Revolution Health is more of an information portal at this point, and who is going to trust their health insurance company?). Whereas HealthVault’s strengths seem to lie in tying together different health information silos on the back end, Google Health is focusing more initially on the consumer side. It is trying to do an end-run around the health establishment by trying to get consumers to manually load their own medical information into their profiles. HealthVault allows this as well, but seems to have stronger partnerships with back-end health data providers. Google will no doubt tackle the existing health data silos as it proceeds. It really has no choice if it wants to organize the world’s health information." I know many people are going to treat this as a competition, but I think this is very short-sighted. Both these efforts are going to provide consumers with more control over their medical treatment, and this paradigm shift is what is important . Whether they do it by using Microsoft's services or Google's is unimportant in the big picture. The true winners are going to be patients - and those doctors who accept the fact that empowered patients are the best patients ! Google Health: " Google Health allows you to store and manage all of your health information in one central place. And it's completely free. All you need to get started is a Google username and password. Google believes that you own your medical records and should have easy access to them. The way we see it, it's your information; why shouldn't you control it? With Google Health, you manage your health information — not your health insurance plan or your employer. You can access your information anywhere, at any time." Google Health is finally here ! This is great news for patients, as google health offers many clever tools patients can use to get control of their medical treatment. It's primarily an aggregator service right now, which brings together services from many different providers, to help patients solve their problems. I especially like the following. 1. An easy to use interface ( which is what one would expect from google ) ! 2. Links to services which offer to digitise your personal records, so they can be uploaded to google. I think this is going to be a big breakthrough, as people now have an easy and inexpensive way of storing their information online. Most potential PHR users find this to be a huge problem, and don't know how to input all their old records . For a fee, many service providers ( such as MyMedicalSummary) will do this for you and google provides links to many of them. This allows you to populate your Google Health Profile without having to enter all the data manually - which can be a very tedious exercise ! 3. Links to clever services such as MyDailyApple which allow users to use the information stored in their Google Health profile to customise and personalise health searches. I find it fascinating that many of the new innovations which are coming in healthcare longer seem to be related to new drugs or technology. Many of them now are about how consumers can get more control over their own healthcare - and this is a excellent paradigm. Doctors are going to have to get their acts together to handle this new group of empowered and powerful patients. Empathetic doctors, who put "patients first", will welcome this change, as it will make their job much easier ! Personalized Health News: " Personalized health information is our new mantra. Our first innovation in this area was personalized search, which we have been offering for a few months now. When you ask a question of Curbside.MD, you can choose your health profile and the search results you see are aligned to that profile. Here's an example. Dudley Demo is a 50 year old white male. His medical history includes HIV/AIDS, PCP pneumonia, thrush, shingles, and depression. His medications include bactrium, diflucan, combivir, and viracept. When Dudley Demo issues a simple search for 'headache', the results are dramatically influenced by his health profile, giving him extremely specific and relevant information." MyMedicalSummary: "Tired of filling out the same forms at your doctor's office? Do you or your family have extensive health records that are scattered in multiple practices? Let MyMedicalSummary take your paper medical records and create your own personal Google Health Record online - where you can view it and update it at your convenience - all of the records or any portion of your records that YOU choose." Lots of services which are helping patients digitise their own medial records so they can make better use of them ! American College of Physicians urges collaboration on e-health: " Collaboration among physicians, patients, technology developers, and policymakers must occur if e-health activities are to transform healthcare in the United States, says the American College of Physicians in a new position paper it released last week. 'E-health activities have great potential to improve the quality of patient care, reduce medical errors, increase efficiency and access to care, and achieve substantial cost savings,' said David C. Dale, MD, president of ACP." Doctors are used to talking in medicalese that they find it hard to talk to patients in simple English ! Not in a Million Years | Sean Khozin, MD, MPH: "It saddens me to say that I regret my decision at becoming a doctor. For the first time in 20 years I note this statement to be true. There is a cold storm brewing. For 20 years I’ve never felt this way. I wonder with whom we will fill the need for future physicians. Plan not to have the kind of understanding and sympathy and empathy that you have felt in years past. Plan ahead for a very impersonal and rushed visit during which time the true nature of your problems will probably never be addressed and issues just under the surface will never be explored." The Health Care Blog: Wishing for a smart health search: "There is definitely a lot of hope for technology to help consumers in the health-search space. 1. Filter the information that is relevant to me. 2. Correct me if my question does not make sense. 3. Suggest me “You could be also interested in …” material. 4. Alert me if my clicks and pages have semantically deviated from what I’m searching for and let me get back to the starting point. 5. Remember what I already read. 6. Learn my social interactions with others, and deliver me the wisdom of others, especially if others are qualified or really “close” to me and my medical problems." If the search engine was built around your PHR, all these wishes would be met ! Just like your family physician filters through all the information which he has in his head, so he can select what applies to you, an intelligent search engine can perform the same function intelligently. You can provide feedback to improve the quality of the " finds." Rate your doctor (why we wrote the story) : Booster Shots : Los Angeles Times: "What she found was a public hungry for more complete information about the men and women to whom they entrust their lives. Americans don't apparently believe that medical boards, insurance companies or doctors themselves will tell the truth. And so they've turned to each other. We understand the pros and cons of this trend -- as, we're sure, do readers. The online world is a risky one, reputation-wise and in terms of accuracy. But patients want -- and need -- as much information as they can get when stepping blindly into the healthcare abyss. They also deserve accurate information. Like it or not, ratings of everyone are likely here to stay. For them to be truly useful, however, our story suggests that more people -- not fewer people -- need to weigh in. Not just with the bad -- but with the good." HealthCareSoundOff.com: "I have diabetes and high blood pressure and often need advice from my physician. Each time I need advice I am forced to make an appointment and go to the doctor’s office. Most of the time his advice is routine or I need some adjustment to my medications. Is there a way for me to avoid making the appointment and getting advice on line or on the phone. Many doctors will now “see you” online through the internet. According to Wall Street Journal web sites are now available to doctors that take a history that allows your doctor to decide if he can treat you without a visit. Doctors that use this software charge a fee of approximately $30 to process your request for advice. Ask you doctor about adopting this process. Remember, most health insurance does not cover online virtual visits so you will be paying for this service out of pocket." Fisher and Goodman then tick off three reasons why we should not try to expand the physician workforce"
Blog - Like A Doctor In The Family: "Health Defense© is a philosophy and a practice. It is to surviving healthcare as defensive driving is to surviving driving in an automobile. In all future postings by me, and hopefully by you, we will explore the importance of this philosophy and its application to surviving our healthcare. We all want quality healthcare, that is healthcare that is correct, transparent, appropriate, efficient, and compassionate. If we are ill, we want a cure for our illness. If we are well, we want to preserve our wellness. How do we get that? We’ll it's not there for the taking, we need to extract it. Thinking it is just sitting there contributes to what I call the Wall of Apathy, the single biggest barrier to accessing good healthcare and preserving wellness. We all need to become owners of our health, much as we own other things of value. Right now many have relinquished their health to all those providers who presume to want it and assert their right to it, that is the healthcare establishment. It’s time to take ownership. As for the Wall of Apathy, it’s time to “tear down that wall” ." Online health sites | Salon Life: "The medical establishment, in fact, has taken way too much time to understand that the Internet is a disruptive innovation that has overturned the status quo. It has leveled the playing field between expert and novice -- in this case, doctor and patient. While some doctors like Haig may find that challenge threatening to their status as an expert, the Web is now providing the kind of information doctors need to be aware of if we want to continue to be good at our job, and the kind of trends that can help patients be smarter and healthier." e-patients: The Plausible Promise of Participatory Medicine: "Participatory medicine is what Eric Raymond calls a “plausible promise”: something big enough to inspire interest yet achievable enough to inspire confidence. Reforming health care is too big for most people to grasp; creating spaces for participatory medicine is not. E-patients are already finding, sharing, and mashing up health information online. If you want to take advantage of the internet’s capabilities, find ways to make it easier for people to find and share information that you and your organization hold." *Health 4.0 (4Cs) = content + community + commerce + what we’re currently missing - coherence"
Musings of a Medical Dinosaur: " * First Law: The Art of Medicine consists of amusing the patient while nature takes its course. * Second Law: It is impossible to make an asymptomatic patient feel better. * Third Law: The urgency of the test is inversely proportional to the IQ of the insurance company preauthorization clerk. * Fourth Law: There is no cure for stupid. * Fifth Law: A patient's acceptance of a screening test is inversely proportional to its necessity for that particular patient. * Sixth Law: Trauma survival is inversely related to the patient's value to society. * Seventh Law: Fertility is inversely proportional to intelligence. * Eighth Law: The better the surgeon, the more reluctant s/he is to operate. * Tenth Law: 'Simple' and 'Easy' are not necessarily the same. * Eleventh Law: Poor planning on your part is not an emergency on my part. * Twelfth Law: A bad idea held by many people for a long time is still a bad idea." Concierge Medicine For the Masses " Dr. Alan Dappen is available to his patients 24 hours a day, 7 days a week, by phone, email and in person. Visits may be scheduled on the same day if needed, prescriptions may be refilled any time without an office visit, he makes house calls, and all records are kept private and digital on a hard drive in his office. How much would it cost to have the luxury of a personal physician on-call for your every whim? Would you believe only about $300/year? What's Dr. Dappen's secret to success? He accepts no insurance, keeps his overhead low, offers full price transparency, has physician extenders who work with him, and charges people for his time, not for a complex menu of tests and procedures. 'I believe in doing what is necessary and not doing what is not necessary. The healthcare system is broken because it has perverse incentives, complicated reimbursement strategies, and cuts the patient out of the billing process. When patients don't care what something costs, and believe that everything should be free, doctors will charge as much as they can. " Improving Patient Outcomes: "Physicians’ Records has designed a comprehensive service for the patient as well as physicians. The one tool that can provide a real difference for patients needing not only emergency healthcare, but also in their everyday follow-up care with Primary Care Providers and specialists. Our Registered Nurses provide direct support for patients that encompass archival and secure access to healthcare information, so they can be an integral participant in their healthcare outcome. The most important information that physicians in both emergent and non-emergent settings need to make decisions about patients is the ACTUAL records that are created throughout the care continuum. Summaries and patient-provided information, although helpful, in most cases does not provide the details about a patients prior healthcare documentation. Providing real-time, secure access to your actual records decreases your doctor’s need to guess. Because the healthcare industry has been anemic in its adoption of a universal health information portal, Physicians’ Records provides the one asset that bridges the gap between hospitals, physicians and everyone in between. We provide navigational tools that are designed with the patient and the clinical professional in mind." Consumer-focused healthcare: Interview with Evan Falchuk of Best Doctors: Giving consumers the opportunity to double check diagnosis and treatment decisions: "Well, first thing for a consumer is to make sure you’ve got that right diagnosis and treatment. Don’t assume, no matter how good your doctor is, and there are a lot of great doctors out there that you’ve got the right answer. So if you have a benefit like Best Doctors, call and ask for help. If not, perhaps you want to ask your employer, do we have this program? But ask questions. Become an informed patient, and make decisions based on the best information you can. VG: Right, so this kind of reinforces the point and it’s been a continuing theme—many doctors need to do things quickly and they’re forced by the current reimbursement model to do things quickly, and so having somebody else kind of look it over with a clear head and make sure that it all makes sense, is never a bad thing. EF: Doctors tell me all the time that I spend 5-6 minutes with my patients. So think of a patient whose got an illness, whose been seen by their primary care doctor for 7 minutes, and seen by specialists for 7 minutes, and a third doctor for 7 minutes—the opportunity for stuff to go wrong is enormous." Consumer-focused healthcare: "An interesting statistic is that about 75% of people will have a symptom of a health problem or a health problem within a 30-day period. And it’s also true that about 8 out of 10 of those people don’t ever enter the health care system. They figure out that they’ve got a cold and they’re just going to drink a lot of fluids and get better. Or that their child does not really have an ear infection—they make these decisions—this cut does not need stitches, and all those kinds of things. And so people already do a bunch of this stuff, and from a health plan side, there’s no claim, there’s no nothing, so people already manage their health and make health decisions everyday that are totally invisible to the health care delivery system. We don’t see them." Patient Records Need Reviews - WSJ.com: "With health-care costs rising fast and insurers more closely scrutinizing potential clients, consumers need to pay closer attention to what is in their medical records. Not only can incorrect medical information lead to ineffective or harmful treatment -- the Institute of Medicine estimates that as many as 98,000 patients die each year in hospitals from medical errors -- it can also affect your insurability. 'You need to make sure you know what's in your medical records and correct any errors before you apply for insurance,' says Carolyn McClanahan, a certified financial planner in Jacksonville, Fla., and a former medical doctor. Savvy consumers know to check their credit score before applying for a loan. What is less well known is that consumers can improve their chances of getting insured -- and of paying lower premiums -- by checking that medical information held by doctors, hospitals and pharmacies is accurate. Errors in medical records aren't uncommon. 'They happen all the time,' says Joy Pritts, research associate professor at Georgetown University's Health Policy Institute." Another Reason Patients Should Review Their Health Records: "This is another reason for routinely reviewing your health records. In an era of covert rationing, you can protect yourself by not exposing your doctors to the ever-present temptation to “spin” the records. (Some doctors are regular DJs.) If your doctor knows you are going to read whatever he puts down, he’s a lot less likely to color the story to your disadvantage. Indeed, for this very reason, DrRich would be especially suspicious of doctors who refuse to give you copies of your own health records." Why Americans Are Going Abroad for Health Care: "For someone such as Toral, the hypertrophied medical-industrial complex is just begging for a dose of disruptive innovation. He calls his vision the 'Toyota-ization of health care,' a metaphor so vast that it contains multiple readings, some fit for industry conferences and others he'll cop to only in confidence. In Toral's view, medical tourism as we know it is already giving way to 'globalized health care.' Hospital chains at home will buy, partner with, or even sell out to foreign rivals like Bumrungrad, creating worldwide networks of patients who will hopscotch across continents chasing the best care and costs. Insurers will leap at the chance to lower their own bills and offer members more options. And employers, dying to do the same, will induce employees to play ball by kicking back a share of the savings." medinnovationblog: 25 Things I've Leaned about the Physician Culture: "25 Things I've Leaned about the Physician Culture . 1. People become doctors to serve patients, not hospitals or business corporations. 2. Patients are not “customers,” they’re individuals who need your help, even when that help may be expensive and experimental. 3. Physicians are “the patient’s advocate,” a protector and guide through a world fraught with obstacles to care. 4. Filling outforms frustrates doctors because paperwork takes time away from seeing patients: some doctors take hospital jobs because they can practice medicine rather than processing paper." Could that symptom be from your meds? Could that symptom be from your meds? : "4,000 Americans Die From Adverse Drug Effects Every Week . Protect Yourself and Your Loved Ones. Ask the First Question First: Could that symptom be from your meds? PharmaSURVEYOR is the fast online way to find out! Simply enter your current medications and review the risks. Search for your symptoms to see how your medications may be contributing to them. PharmaSURVEYOR identifies the compound risks associated with additive toxicities in addition to drug interactions, providing more complete risk assessment across your entire drug regimen." The Trillion Dollar Challenge: "My MD and Me spokesman said, 'If the patient does not pay the doctor a barrier is placed between them and costs are inflated. Think about it like a grocery store. You get coupons, great service. You know who offers the best value by shopping around, word of mouth from friends and reputations in the community. This changes if the customer stops paying the bill. What is the incentive to know the cost if you do not pay the bill? What is the stores' incentive to give good service? How does the consumer know who offers the best value?' he continued, 'Service naturally declines because the ?customer' is not the person getting the milk, but the person paying for it. The costs naturally increase through artificial inflation. The only way this stops is to putting the customer in charge of the dollars being spent.'" Indian healthcare success story - Emergency Management and Research Institute: "EMRI (Emergency Management and Research Institute) is a pioneer in Emergency Management Services in India. It is a not - for - profit professional organization founded, funded and nurtured by Mr.B.Ramalinga Raju, founder and Chairman, Satyam Computers and his brothers. Operating in the Private Public Patrnership (PPP) mode, EMRI is the only professional Emergency Service Provider in India today. EMRI handles medical, police and fire emergencies through the ' 108 Emergency service'. This is a free service delivered through state- of -art emergency call response centres and over 610 ambulances accross Andhra Pradesh and Gujarat. With the expansion of fleet and services set to spread accross more states in 2008, EMRI will have more than 2000 ambulances covering a population in excess of 200 million by July 2008." 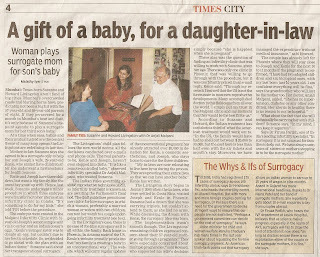 This is one of India's great healthcare success stories ! They provide emergency medical care which is as good as the US 911 care - at one tenth of the cost ! This is a great example of using a clever mix of managerial skills; advanced technology; entrepreneurship and public-private partnership to provide high quality medical care. It's a very inspiring story - and is full of lessons we can all learn from. Nagging via text messages to help teens remember meds: "4gt yr meds? Getting kids to remember their medicine may be a text message away. Cincinnati doctors are experimenting with texting to tackle a big problem: Tweens and teens too often do a lousy job of controlling chronic illnesses like asthma, diabetes or kidney disease. It's a problem long recognized in adults, particularly for illnesses that can simmer without obvious symptoms until it's too late. But only now are doctors realizing how tricky a time adolescence is for skipping meds, too. Of necessity, parents start turning over more health responsibilities to their children at this age. It's also an age of angst, sometimes rebellion, and when youths may most hate feeling different from their friends because of medication, special diets or other therapy." profession, so long shall you be warmed, sustained, upheld amid disappointment, unjust treatment or reverses.'" Baltimore Health Examiner - Medical Information: tainted or pure? - Examiner.com: "Here’s a secret: the medical information that you hear, whether on the radio, on TV or straight from your doctor’s mouth, may not be as pure as you think. You might imagine that those medical experts on the morning news or big-shot specialists at Johns Hopkins are simply sharing straight-up facts. Think again. As much as we, physicians, like to imagine that we are unbiased, there are many forces influencing us. Drug companies dangling generous consulting fees, the desire to please media sponsors, and the need to recruit patients for our research studies just to name a few." Being an IVF specialist helps me to be a patient advocate ! You can now download the book ( both as a pdf file and as an ebook) free at http://drop.io/howtohaveababy. allAfrica.com: Africa: Toll-Free Mobile Service to Give Rural Africa Access to Medics (Page 1 of 1): "A toll-free mobile service being launched in selected remote areas in Africa promises to save lives by connecting people with emergency medical cases to health personnel. Under the initiative launched in Nairobi on Wednesday, health workers will also be trained through mobile phone sessions on day to day skills like collecting and sharing basic household health information. Telecommunication equipment provider Ericsson and mobile phone service provider Zain have adopted the new approach in a bid to stimulate the demand of mobile solutions in areas they consider commercially challenging." Patients and doctors both feel the healthcare system today is sick . One reason for this is because it is so doctor-centric. Healthcare is fragmented and disorganized and there are too many specialists , most of whom have tunnel vision. Often your cardiologist has no idea what your gastroenterologist is doing – and they are so focused on treating the heart or the liver, that they sometimes forget that these belong to a human being ! To reform the healthcare ecosystem we need to put patients at the center ! Patients ( or their relatives and friends) are intelligent and capable; and because they have a lot at stake , they are motivated to get good health care and are willing to invest time and energy if given the right tools to ensure a good outcome. We believe that patients are the largest untapped healthcare resource – we just need to provide the tools direct to patients ! One of the major influences which is rapidly changing the equation between doctor and patient is the easy availability of medical information on the internet. The democratization of medical knowledge has helped to improve the balance of power, so patients no longer feel so exposed and vulnerable. The doctor no longer has a monopoly on medical knowledge, and patients are now hunting for this on their own. After all, knowledge is power ! The trouble is that it’s not easy to find reliable information , and patients often get lost and frustrated. They go to the doctor with reams of internet printouts, and often end up upsetting their doctors in the bargain, because they have to wade through tons of rubbish. This is why doctors need to take the initiative and prescribe information. Information Therapy means providing the right information; to the right patient; at the right time. If we agree that information therapy needs to be prescribed, how do we ensure that it is efficiently dispensed ? One solution would be to have a patient education resource center at every point of clinical care. This would include the doctor's clinic ; the pathology laboratory ; the diagnostic center; the pharmacy ; and the hospital. When someone falls sick, these are their contact points with the healthcare system. Each of these represents an opportunity to educate the patient. We know that for an information prescription to be effective , this information should be provided at the point at which the patient wants it. All of these are ”moment-of-truth” encounters when a patient wants to know more about his problem and his treatment options. Unfortunately most of these opportunities for educating patients are routinely lost. Patients are being forced to search out information for themselves. While it is true that thanks to google this has become a lot easier to do, the internet is not the most effective form of providing information therapy. Let’s look at what happens to you when you fall ill today. You meet your doctor, who examines you , makes a tentative diagnosis , advises some tests and scans to confirm the diagnosis ; and possibly writes a prescription. Typically , you get to spend about 15 minutes with your doctor. During this time you have so many questions and are so stressed out that you usually do not retain most of the information your doctor tells you. You then go to the laboratory to get your blood tests done; and then to the diagnostic center to get an x-ray or a scan. You are dying to know what the results of the scan and blood tests mean , but they make no sense to you - and unfortunately , no one is willing to tell you. The standard answer from the technician is - You need to wait to see your doctor , who will explain these results to you. You then has to suffer through another 2 – 3 days of suspense, anxiety and tension, till the next appointment with the doctor. The interaction with the chemist is also not much better . All he does is fill the prescription , but you are still full of unanswered questions. Why this medicine ? What are the side effects ? Is there a cheaper alternative ? The answer is usually the same – Ask your doctor ! This is an unfriendly way of treating the patient, who is forced to wait ; or to use the internet to find information , which may often be wrong, outdated or unreliable. What a waste of the doctor’s precious time and energy . And what a wasteful use of the other healthcare personnel ! Let's look at an alternative scenario. While you are waiting to see your doctor, you can spend time at his clinic’s patient education resource center which has books and videos about the common clinical problems your doctor sees . At the end of the consultation, the doctor writes you an Information Prescription about the possible diagnosis ; and the tests , scans and medicines he has advised . These are “keywords” which you need more information on. This Information Prescription can be filled by any healthcare worker you encounter during your journey through the healthcare system. All you need to do would be to show the prescription and ask for information . The laboratory , the diagnostic center , and the pharmacy would also have a patient education resource center . This could just occupy a corner of about 50 - 100 sq ft and would have a core collection of basic books ; as well as pamphlets for the patient to take home ; and a PC or thin client with an Internet connection with links to reliable websites. If you need help , a staff member ( or another patient !) can help you find the relevant information. The beauty of patient education is that it is inexpensive and easy to incorporate in daily practice. It should be an integral part of every patient encounter; and also offers the doctor, the laboratory and the diagnostic center a great way of marketing their services. Anyone who takes the time and energy to educate the patient is likely to create a lot of good will and get repeat patients . It also creates increased brand awareness in the community, as reliable health information is valued by patients and family members. We know that medicines play an important role in helping patients get better , which is why doctors prescribe them . Information has an equally important role to play in medical treatment, and needs to be routinely prescribed and dispensed. This is an effective way of improving the medical care you receive . Every time you visit your doctor, please ask him to prescribe information ! In Other Words...Abbreviations, Acronyms, and Other Healthcare Shorthand - Health Literacy: "Frank Federico, RPh, is concerned about abbreviations and acronyms from a patient safety point of view. Federico is content director for the Institute for Healthcare Improvement in Cambridge, Massachusetts. One area that particularly concerns him is the use of abbreviations for medications. Federico says one of the more serious safety concerns is the fact that the meaning of an abbreviation may differ from one hospital to another. For example, depending on where you work, “MTX” could stand for either “methotrexate” or “mitoxantrone” (different drugs that are both used to treat certain kinds of cancer). Another concern is providers using a variety of abbreviations and shorthand terms when communicating orally with patients. For instance, one provider might refer to a patient’s drug as “HCTZ” while another might call it “hydrochlorothiazide.” A third may refer to it simply as a “fluid pill.” The confusion only mounts when the patient picks up his prescription from the pharmacy and the pill bottle has yet another way of describing ingredients and dose." In Other Words...Helping Patients Separate True Health Information From False - Health Literacy: "Use external aids to improve accurate recall. To aid recall, Skurnik recommends the use of memory aids such as note taking, supplemental reading material, or using another person as a “second set of ears.” Memory aids can help to offset the fact that people may remember just bits and pieces of claims, especially when the situation — or context — is rushed, harried, or otherwise distracting, as is often the case in a clinical setting." * Medical travel has captured the world’s attention and imagination, but a new McKinsey study suggests that the market isn’t as large as reported and that most medical travelers seek high quality and faster service instead of lower costs. * McKinsey places the current market at 60,000 to 85,000 inpatients a year, but these numbers could grow substantially if certain barriers, such as noncoverage from payers, were removed. Payers and providers looking to benefit from this nascent market have a substantial opportunity." Challenging patients make our work interesting ! The Enquirer - Text messages help teens with asthma: " Tylor Thomas, 16, has never counted how many text messages he gets in a day, but it’s a lot. Tucked in among all those shout-outs from friends, one potentially lifesaving message arrives every morning around 9 for the Winton Hills teen. “They just text me and tell me, ‘Hi. Don’t forget to take your asthma meds,’” Tylor said. He’s one of a handful of teens participating in a Cincinnati Children’s Hospital Medical Center pilot project to determine how well text-message reminders work to help teens manage their asthma. If text messages are an effective solution for asthma management, there’s no reason they won’t work for patients with diabetes or other chronic illnesses, said Maria Britto, an adolescent medicine specialist at Children’s." Pleio Health Support Systems: "For millions of patients, new medications are often misunderstood or misused. Everyone has a parent, friend, brother or sister who fails to get the advice, encouragement or support they need when they need it. Most patients quickly abandon drug therapy; many times for the wrong reasons—and with serious consequences. Pleio brings people together to improve patients' experiences with new medications, for the beneﬁt of patients, their families and the entire healthcare industry. Pleio GoodStart™ is a practical adherence support system for patients in the early adoption stage of a new medicine—the ﬁrst 100 days. It provides enrolled patients with answers, encouragement, reminders and peer support, when they need it, how they want it, in their language." What I'm describing is the Personal Health Profiler™ (PHP) application, which I invented after decades of R&D. It's useful to consumers, as well as their sick-care providers and wellness coaches. My intention here is to gain exposure for my invention in hopes it will stimulate dialogue about what personal health records could be, as well as spark creative collaboration projects. HiFi's and Healthcare | Trusted.MD Network: "Specialty facilities can offer more expert care more quickly, and (perhaps) more cost-efficiently than traditional hospitals. They lack, of course, extended stay options; when my mother was recently hospitalized, she was taken first to the same facility as I had been, but had to be transported later that day to a 'regular' hospital. Still, we couldn't have known that at the time, and it seemed a reasonable choice. It seems to me that 'distributed healthcare' may be on the horizon. By unbundling services, providers can specialize more efficiently, which may lead to a reduction in the cost of health care (and hence, of health insurance). Something to keep an eye on." All you wanted to know about adoption in India ! NAAF, the National Association for Adoptive Families in India, has published an excellent guide for prospective parents who want to adopt a baby. Unfortunately, this is now out of print, so we've uploaded this to the web ! It's a free download - and is packed with useful information ! Traditionally, most of us think of Information Therapy as information which is prescribed by the doctor and administered to the patient. Actually, it can be much more than this ! For one, Information Therapy can be dispensed by other healthcare professionals , such as pharmacists and X-ray technicians . At present, they are often underutilised. By getting them to teach patients, we can make more effective use of their skills. They much more likely to be experts in their area of interest ( for example, most pharmacists would know much more about drug interactions than the average doctor); and because they are much less intimidating than doctors, patients find it much easier to ask them questions and get answers in plain English. Talking to patients and explaining medicalese to them also helps to improve the bedside skills and empathy of these professionals, so they become much more than just technicians. Even more importantly, Information Therapy can be provided by other patients ! Expert patients often have a wealth of knowledge which they are happy to share - and since they have "been there, done that", they a gold-mine of practically useful information ( which most doctors are clueless about). Prescribing Information allows doctors to help patients to tap into these sources of wisdom and knowledge ! DOCTORS ARE frequently criticized for the things they fail to do. In general, they don't spend enough time on patient education, don't provide adequate preventive care and don't treat many chronic disorders aggressively enough. These shortcomings are well-documented. An equally important problem that attracts less attention, however, is doctors who do too much. Whether it's ordering an unnecessary test or advocating an aggressive form of treatment over one that's more measured, the result is the same. Patients wind up getting more than they need. The Democratization of Health Knowledge by Steve Denning, Guest Contributor « Lisa Neal: "Steve Denning wrote previously about The democratization of knowledge: anyone can know anything. “This phenomenon is particularly notable in the spontaneous formation of global communities of interest in the field of medical problems. Patients who were once at the mercy of doctors who had unique access to esoteric medical knowledge now find themselves able to contact other doctors and patients and explore their particular subject, gather new data, discover new leads for treatment, and learn how to cope with side effects. The emerging communities are global in nature. A patient in the US may be able to learn from a doctor in China or a suffering patient in Argentina and vice versa. The sufferers of rare diseases, where perhaps only a few victims exist around the world, can now make contact with each other and share experiences…”"
Health 2.0 - Modern Healthcare Online: "The first principle, O’Reilly says, is the software of a Web 2.0 company has to be Web-based, has to provide a service and that service has to be structured so that the more people use it, the better it becomes. He described it as 'an architecture of participation.' An exemplar is eBay; as more and more buyers and sellers participate, the broader the eBay market becomes, which creates more value to the customer. O'Reilly calls the second key principle 'harnessing collective intelligence,' which also is referred to by others as 'the wisdom of crowds.' To avail themselves of this wisdom, Web 2.0 developers must create applications that are dynamic, with user participation designed into the systems, so that participation itself becomes an integral part of making the underlying database more valuable. Amazon.com adds value by enabling readers to write and post reviews of software and books and to be engaged in other ways, such as preparing wish lists. O'Reilly's third principle, 'Data is the next 'Intel inside,' ' notes that specialized data, enhanced through analysis performed by the service provider as well as by the contributions of service users, becomes the core asset of a Web 2.0 company. The Amazon wish lists, for example, are aggregated by Amazon and used as buyer's guides." The open-access medical office - Seeing patients when they want to be seen helps you respond to their needs and stay competitive. - Medical Economics: "How important is open access? It's one of the seven core components of the medical office of the future as envisioned by TransforMED, a practice redesign initiative of the American Academy of Family Physicians. If you want more proof, witness the burgeoning growth of retail clinics and urgent care centers that patients can visit at the drop of a hat. For medical practices to compete, they'll need to be just as convenient. Beyond delighting patients with quick service, open-access scheduling produces a cascade of other benefits. Chief among them are a steep reduction in no-shows and cancellations (the further out you schedule patients, the higher the risk that they'll skip or cancel) and improved continuity of care (rather than be shoehorned into the schedule of any clinician who's available, acutely ill patients are far more likely to see their own physician)." Literacy Partners of Manitoba - Plain Language Service: "Literacy and Health Manual. This workshop manual introduces health providers to the links between literacy and health and offers strategies for reaching clients with low literacy skills. Another cool tool is the ClearDoc Index which is a handy plain language checklist." If we all agree that information therapy needs to be prescribed, how do we ensure that it is efficiently dispensed ? We all know that in order for an information prescription to be effective , this information should be provided at the point at which the patient wants it. All of these are ”moment-of-truth” encounters when a patient wants to know more about his problem and his treatment options. Unfortunately most of these opportunities for educating patients are routinely lost. Patients are being forced to search out information for themselves. While it is true that thanks to the Internet and clever search engines this has become a lot easier to do, the internet is not the most effective form of providing information therapy. Let’s look at what happens to a patient today. He takes an appointment with his doctor, who examines him, makes a tentative diagnosis , advises some tests and scans to confirm the diagnosis ; and possibly writes a prescription. Typically , the patient gets to spent about 15 minutes with the doctor. During this time he has so many questions and is so stressed out that he usually does not retain most of the information the doctor tells him. He then goes to the laboratory to get the blood tests done; and then to the diagnostic center to get an x-ray or a scan. He is dying to know what the results of the scan and blood tests mean , but they make no sense to him and unfortunately , no one is willing to tell him. The standard answer from the technician is - You need to wait to see your doctor , who will explain these results to you. And he then has to suffer through another 2 – 3 days of suspense, anxiety and tension, till the next appointment with the doctor. The interaction with the chemist is also not much better . All he does is fill the prescription , but the patient is still full of unanswered questions. Why this medicine ? What are the side effects ? Is there a cheaper alternative ? The answer is usually the same – Ask your doctor ! This is an extremely unfriendly way of treating the patient, who is forced to wait ; or to use the Internet to find information , which may often be incorrect, outdated or unreliable. What a waste of the doctor’s precious time and energy . And what a wasteful use of the other healthcare personnel ! Let's look at an alternative scenario. While the patient is waiting to see the doctor, he can spend time at the clinics’ patient education resource center which has books and videos about the common clinical problems the doctor sees . At the end of the consultation, the doctor writes a prescription for information about the possible diagnosis , and the tests , scans and medicines he has advised . These are the “keywords” which the patient needs more information on. This information prescription can be filled by any healthcare worker the patient encounters during his journey through the healthcare system. All he would need to do would be to show the prescription and ask for information . The laboratory , the diagnostic center , and the pharmacy would also have a patient education resource center . These could just occupy a corner of about 50 - 100 sq ft and would have a core collection of basic books ; as well as pamphlets for the patient to take home ; and a PC or thin client with an Internet connection with links to reliable websites. If the patient needs help , a staff member would help them find the relevant information. Patient education should not be seen to be an expense. It is actually an integral part of patient service; and also offers the clinic , the laboratory and the diagnostic center a great way of marketing their services. Anyone who takes the time and energy to educate the patient is likely to create a lot of good will and get repeat customers. It also creates increased brand awareness in the community, as reliable health information is highly valued by patients and family members. We all know that medicines play an important role in helping patients get better , which is why doctors prescribe them routinely . Information has an equally important role to play in medical treatment, and needs to be routinely prescribed and dispensed. This is an extremely cost-effective way of improving patient satisfaction and patient compliance.